A pulp and paper mill in Poland is getting a €35 million (£27.7m) loan to modernise its machinery by improving its energy efficiency and cutting its air emissions. 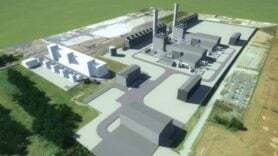 The European Bank for Reconstruction and Development is giving the loan to help the Krapkowice mill save energy and slash pollutants such as carbon dioxide and sulphur dioxide. The mill is owned by Finnish firm Metsä Tissue, one of the leading European suppliers of tissue and cooking paper with sales of €1 billion (£700m). The funding forms part of the EBRD’s strategy to push more investment in the corporate sector.